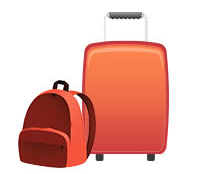 Send your belongings to and from University of Washington with My Baggage! For $10 off your first booking, use the code UBUW10 at booking! Here’s how to use it. My Baggage offers convenient and affordable college shipping services to and from University of Washington. 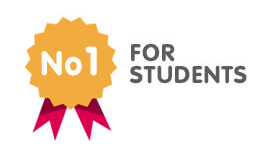 We help thousands of students every single semester! 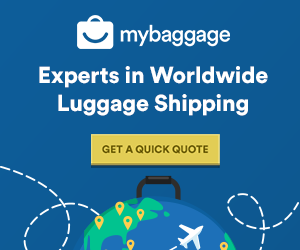 My Baggage provides full online luggage tracking, convenient door to door collection and delivery services, unrivalled customer support, super fast transit times and so much more. The University of Washington is located in Seattle, WA and it is one of the oldest universities on the West Coast, found in 1861. And you won’t believe that bubblegum, vinyl, synthetic rubber and the color TV tube were all invented on UW campus! Fun fact: the famous martial artist, Bruce Lee enrolled in 1961 and met his wife, Linda Emery, in University of Washington. But he dropped out later on. Moving to college doesn’t have to be stressful. Forget hauling your suitcase or any heavy bags from home and through train stations, taxis and airports; My Baggage’s convenient luggage shipping services are the perfect solution. With My Baggage, sending your personal belongings to and from the University of Washington is effortless. Our secure, easy to navigate online booking system is available 24/7 and takes just a few short moments to complete. You can get started by obtaining a quote straight from our homepage! Once you’ve booked your shipment, we’ll send you some shipping labels to print and attach to your items. After that, you can sit back and relax as we collect your shipment and deliver it straight to where it needs to go. Booking with My Baggage really is that easy. When you send your personal belongings with My Baggage, we make sure that you’re always kept in the know. You’ll be given access to full online luggage tracking information which will allow you to monitor the progress of your shipment every step of the way. At My Baggage, we understand that speed is a top priority when shipping your personal belongings. No one wants to be left waiting days or even weeks for their luggage to arrive. That’s why we offer super fast shipping times, with next day services available on many of our routes. To see how fast we can get your luggage delivered to the University of Washington, get a quick quote! If you are an international student travelling to study at University of Washington, My Baggage can help you transport your belongings there without any added stress! My Baggage is a much more cost-effective option than paying for an extra bag on your flight, and more convenient than hauling heavy bags or suitcases through train stations, taxis and airports. We ship to over 200 countries worldwide and offer a generous weight limit of 66lbs – so, thankfully, you don’t have to leave anything important behind.